A backpacking trip to Europe is sure to give you some bragging rights – many in the U.S. think of Europe as an exotic location even if most places in it are hardly different from an average American city. That being said, the perception isn’t completely unfounded – Europe has no unified language and is home to a wide variety of people, cultures and customs. Moreover, one part of Europe might look incredibly different from the other – from poverty-ridden areas to wealthy cities and from freezing urban zones to warm beaches, don’t expect a unified appearance from any part of the continent. While a backpacking trip to Europe isn’t the wildest journey you can have, it still pays to be prepared – the places you’ll end up visiting might surprise you, and it’s good to have something to fall back on. Here’s how you should plan for a successful trip. Backpack size: does carrying a skyscraper on your back still count as a backpacking trip? As already mentioned, Europe is home to a staggering amount of different cultures – the people of each culture have their own specific beliefs and customs. 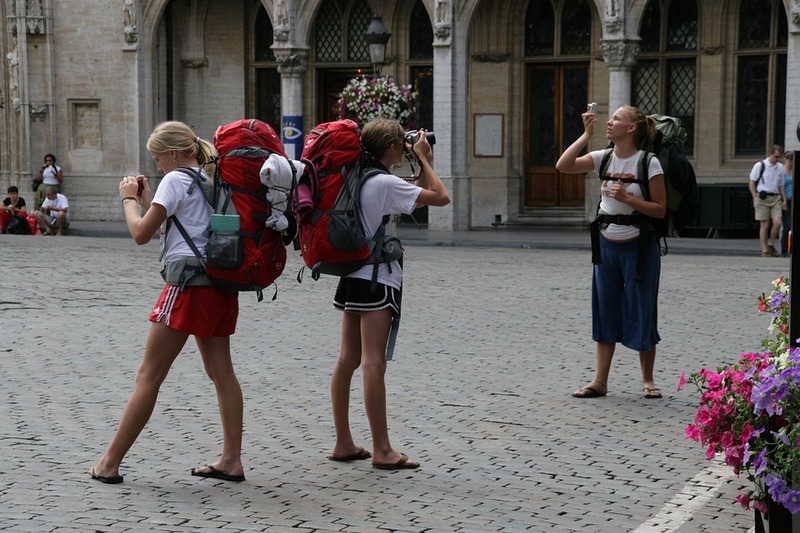 There’s also the individual factor to keep in mind – every local might react to tourists differently. For example, if you are bringing a hammock, some locals might not like you setting it up in a park with trees. There’s no shortage of tourist-friendly places in Europe, and you can confidently expect a majority of Europeans to enjoy greeting tourists, chatting them up and even taking some nice selfies with the visitors. On the other hand, some Europeans in closed communities or areas with a pronounced poverty issue might not appreciate seeing tourists or talking to them. Be open to new encounters and friendly individuals during your trip, but don’t force it – if someone looks annoyed by the presence of an obvious tourist, don’t push your luck by trying to prove that you’re a likeable individual, as there are better people to spend your energy on. The trick with any backpacking trip, especially a lengthy one, is keeping yourself well-funded: if you carry too much cash, you risk having it lost and pilfered, but if you rely on credit cards, you risk encountering a confused look when trying to pay with one. For best results, try to come up with an ideal ratio of cash against credit for your trip. Before going out to any location that might not have an ATM or credit card machine, be sure to calculate the potential costs of food, lodging and area entry and have slightly more than that in cash. Also, always keep an additional amount of ‘travel cash’ on you in a waterproof container in case things turn sour and you need a lift from the middle of nowhere. Copyright © 2018 Willamsburgfarm.net. All rights reserved.